As we checked out of our hotel in the morning, the man at reception commented on our intention to enter the Sahara with camels that same day. “Mmmrrrraaaaaa…!” he bellowed, mimicking the legendary beasts of the desert, before bursting into laughter. When we tried to explain our excitement and the fact that we had never seen camels before, he pointed to his wide eyes and with honest incredulity said: “No see camels?” We nodded. “Mmmrrrraaaaaa…!” he cried out again, louder and with all-consuming laughter. Ahem. 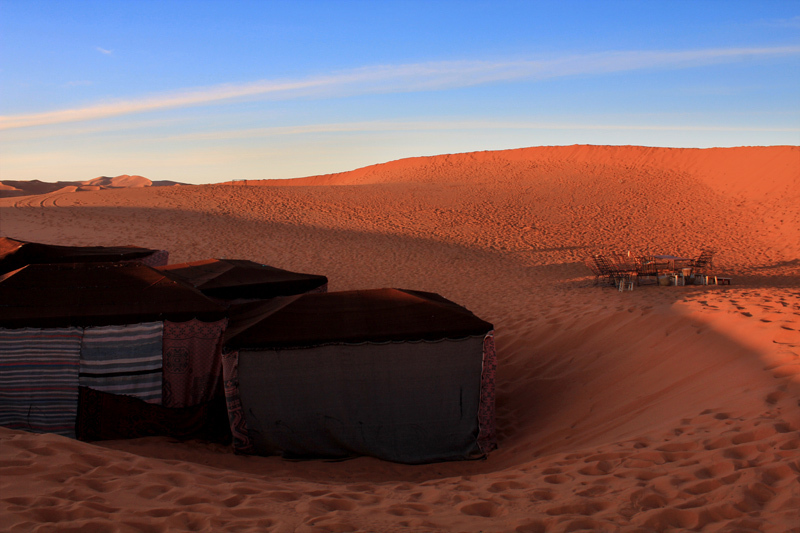 So maybe it is hilarious to a local that it is some dumb tourist’s dream to ride on a large, smelly (and apparently, loud and obnoxious) creature, to spend the night in tents in the freezing desert, and absorb fine sand into every pore. But we were proudly those dumb tourists, and we didn’t really care. For the rest of the morning, we sped through the black sands of the leading desert, the paved road to the Sahara stretched out smoothly for many straight miles. The large copper dunes crept closer, the color becoming impossibly more intense with each mile. Our excitement rose with each passing minute. 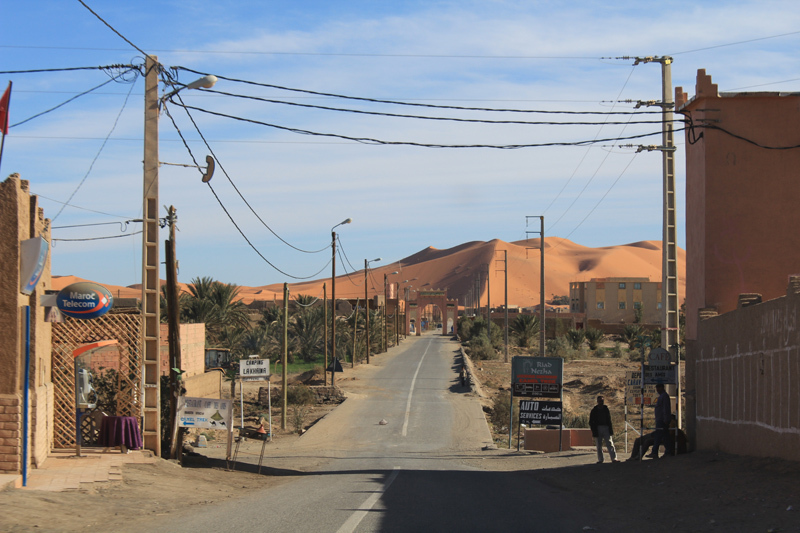 Upon arrival into the nearly empty town of Merzouga, a gateway to the desert, we were introduced to three Mohammeds. Mohammed (“The Original“) was to be our chaperone and guide, leading us into the bright orange dunes of the vast Sahara desert. The remaining Mohammeds, affectionately nicknamed “Number Two” and “Number Ten” were our camels who would take us there. Number Two and Number Ten obediently followed the lead of The Original, trudging through deep mounds of sand, up and over hills. Pete and I both rode with large grins plastered on our faces, fawning over the camel’s strength, height, and the unexpected smooth ride. So enamored were we that we wanted to give our new friends better names – I chose “Ranger” for mine, after a beloved horse of my best friend back home, and Pete’s was perhaps a little less loving, but was definitely accurate. He was riding “Farty“. After almost an hour of riding, at a point where we could see nothing more around us but the orange sand, we stopped for a break and to stretch our legs. We dismounted our camels and took the time to get a closer look, snap pictures, and give ’em some love. Pete scratched the top of Farty’s head, and Farty lapped it up. He leaned into Pete’s hand, encouraging deeper pets, and Pete moved onto scartch his neck while Farty closed his eyes and enjoyed every second of it. I turned to Ranger, hoping to replicate this intimate experience with this majestic animal, but I was immediately turned down. 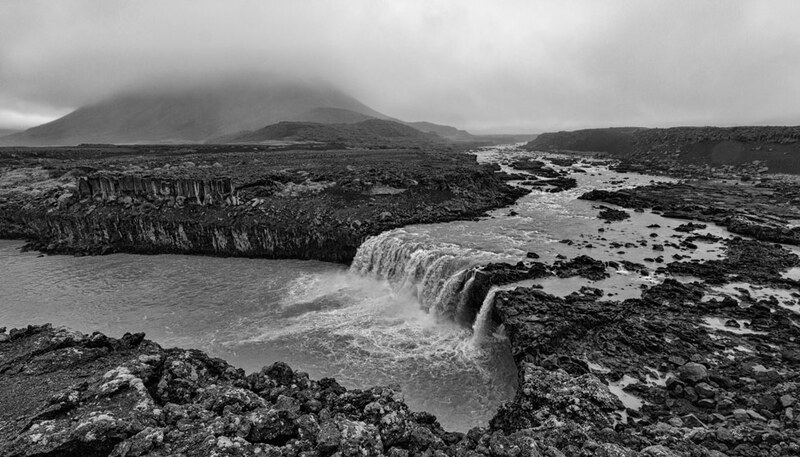 “Mmmrrrraaaaaa…!” Ranger cried out, baring his teeth and causing my heart to race as I jumped back. The Original burst into laughter. “He doesn’t like Canadian women,” Mohammed declared. Be that way then, Ranger. Ranger and I managed to smother our newfound dislike for each other and make the rest of the trek with indifference and without incident. 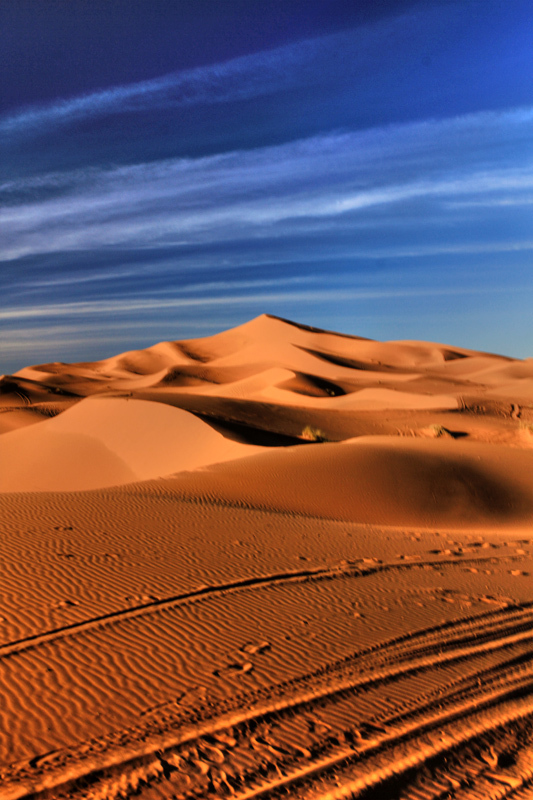 Luckily for him, I didn’t care much, as I was smitten with another new love, the bewitching Sahara desert landscape. Yeah, I’m fickle like that. Our camp in the desert! The desert is just magical & I loved every moment of it even the camels! Maybe he didn’t like the name Ranger, and wanted something like Farty? Well, you guys already know how I feel about camels, so I won’t overload your server with a long-winded comment. Glad you got to spend some time with these extraordinary animals. And Dalene, all I can say is that camels are very perceptive and you may want to review your personal history with camelids. Ever look at a vicuna or a llama funny? Ever condescend to an alpaca? The camel will know..
That makes so much sense, although Ranger’s anger was misplaced. Pete was taunting a llama in Peru (and hilariously got spit on by the llama – I’m talking a whole mouthful of grass and saliva and gross stuff right in Pete’s face), and apparently I got punished for it by Ranger. I just wanted to pet him! I’ve heard camels can be rather stubborn. Glad you were able to put Ranger’s drama out of your mind and enjoy the landscape. From the photos it looks amazing. Despite Ranger’s hatred of me, that was definitely a lifetime highlight. The landscape was so incredible – I had no idea that the sand would really be that bright in color! Even though Ranger hated me, it was the experience of a lifetime. They are such cool creatures, and the Sahara was so amazing!! I just love the desert…living in Egypt, its 9 hours by car to be in Siwa, and then the desert is all mine. With some connections and friendships I camp out there through my stay…its always amazing. OMG…..I am in total AWE !!!!!!!!!!!!!!!!!!!!! 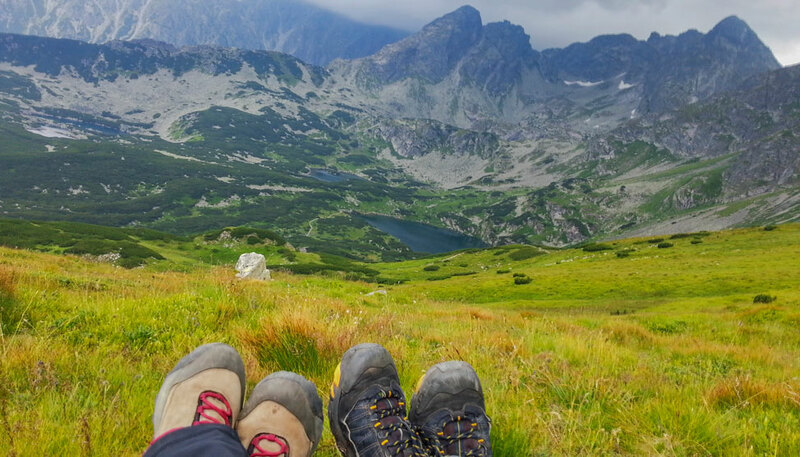 Would love to do this trip – and even more so after I’ve seen your photos. It is an amazing experience – a lifetime highlight – for sure! I suppose that I could get over my camel hating me with views like that, too! 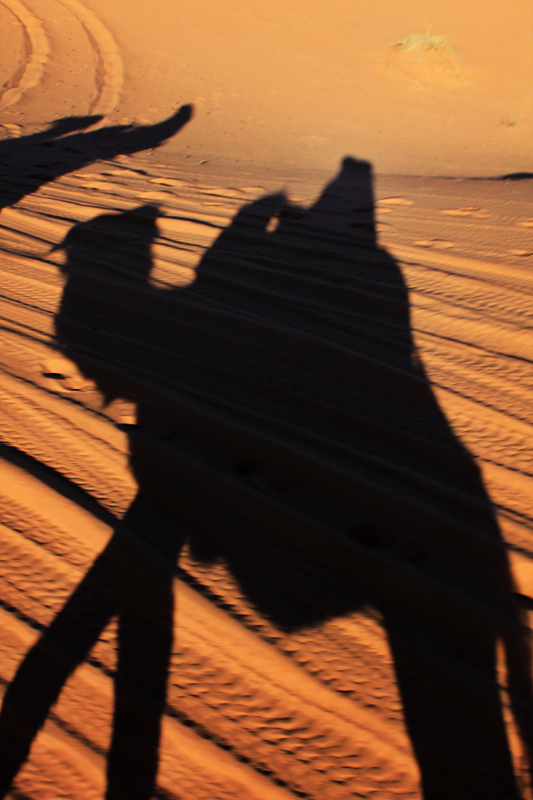 That photo of the desert with the silhouettes of your camels is AMAZING. Thanks Amanda! 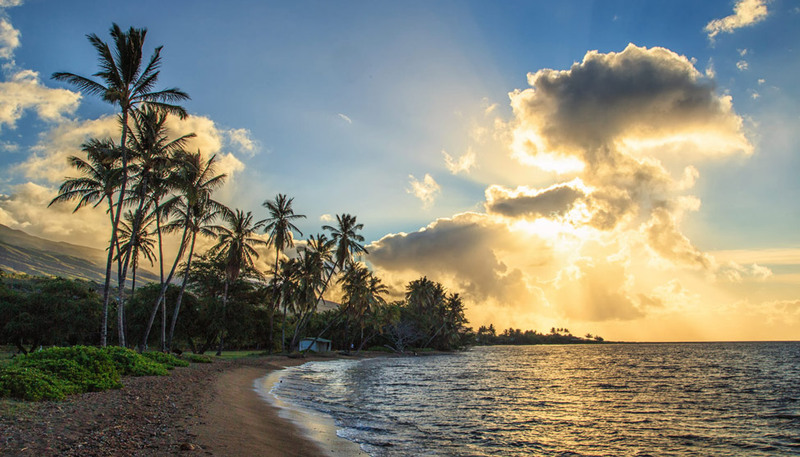 Pete was snapping furiously, every time the sun went down a little further, the sky got more beautiful. It was so surreal. For me, a camel ride would be a big tick off the bucket list. I must remember to ask for one that likes Australian Women. Wonderful photos. So, I’m definitely jealous. 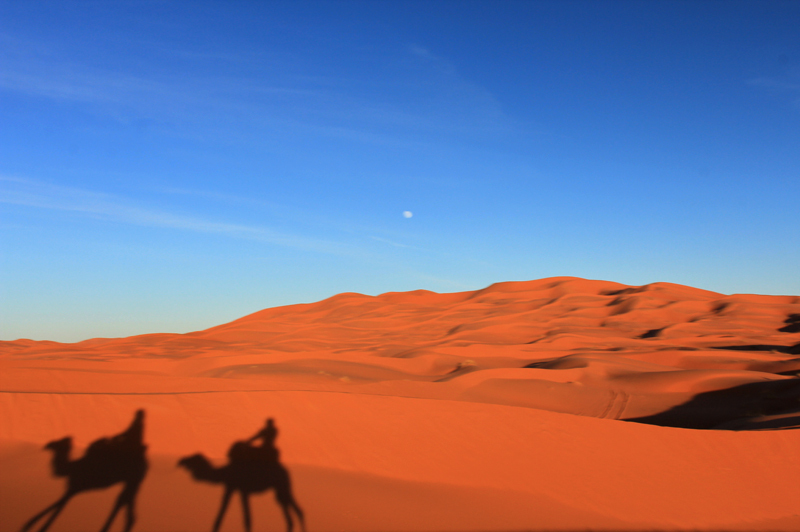 The Sahara intrigues me — I’d even do the camels. The camels are a must! Even though Ranger hated me, I had a pretty smooth ride, and they are amazing animals. How can anyone (or anything) hate a Canadian – that’s my question!? Physically impossible 😉 Love the desert pics guys! Looks like a great journey…despite the camel angst. It’s our fault. Lori pissed off the camel at the local petting zoo on a preschool field trip once. Word of the incident must have gotten back to the Sahara, and now all Canadian women are blacklisted. Sorry about that. Uhhh…you might want to stay away from the Plaza hotel in New York City. I love the picture of Pete and his camel! Great photo! Wow those desert photos are beyond. I love the shadows. I’m with Abby on her comment of the photos. Great shots and the prose had me gasping and laughing. Thnx. Looks like so much fun! 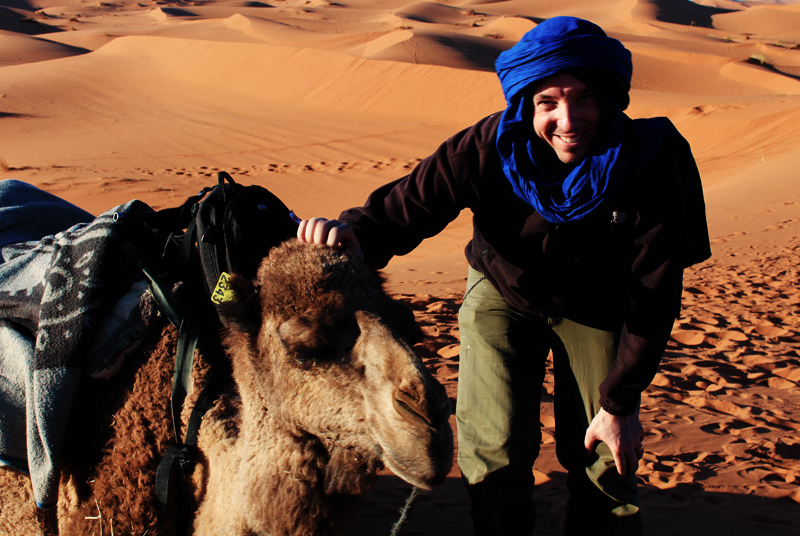 We rode camels in Egypt and Jordan, but there’s something about riding a camel in the Sahara….!! Your camel doesn’t like Canadians? How is that even possible? Everyone likes Canadians! Love this story … and the photos. So beautiful. I would have loved to have just stood there in silence and listen to the stillness. This post was too funny.. I love the names! Your photography is getting absolutely incredible as well, I loved all the shots, but especially the one of the camel resting… wow. Incredible post guys. 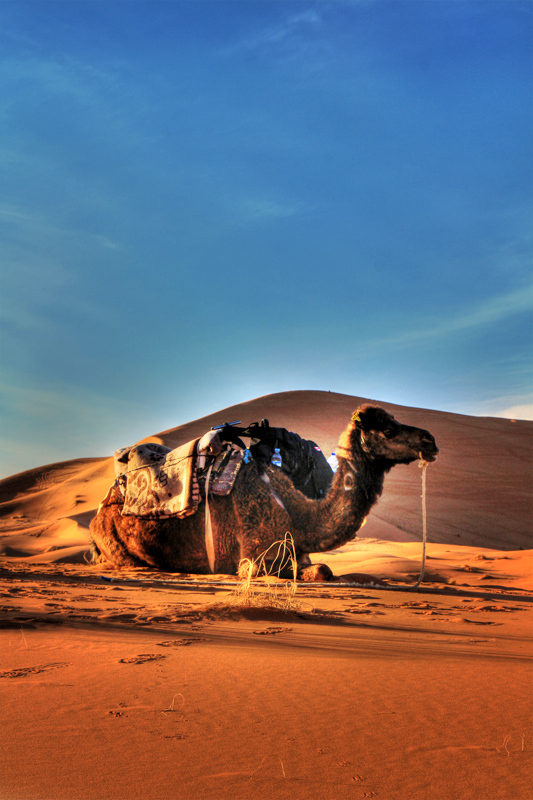 Have you read Kipling’s Just So story about how the camel got his hump? The “Mmmrrrraaaaaa…!” immediately reminded me of that 🙂 Seriously, beautiful desert pictures, have a great time guys. Ahh, this is totally something we want to do! Ride a camel in the Sahara, that is — I could pass on riding a farty camel in the Sahara. 😛 And call me crazy, but I wouldn’t mind seeing a camel spit, even if it was aimed in my direction. Bahahaha this story is hilarious. Ranger looks pretty badass, just the same. I hope you and Ranger resolved your differences. I love camels so much. Would go back for more trekking in a heartbeat! Aww, Farty looks so happy in that picture! What a fun adventure. Haha, Farty was a happy camel. It was a most excellent adventure! Sounds like a really fun experience and as always your photos are beautiful. Cheryl Howard recently posted..Street Art And Graffiti In Krakow. Even though I really want to have a similar experience riding on a camel in the desert, I know that the camel and I will not get along. If well treated, a camel will be as loving as a dog, but unfortunately many are abused by their owners. I heard of a camel in Iran which was regularly beaten by its owner who finally sold it and moved to another village. The camel was passing one day, and sighted the man, and running across it attacked and scalped him. Like the elephant said the guide in Isfahan ( whose name by the way was Muhammed) a camel never forgets. You gotta come and ride the real Ranger….he’s not a Canadian-woman-hater! And he’ll love you even more if you come with oats or carrots in hand! Sorry about your relationship with Ranger but thank you for your story about the Saharan experience and I hope I get to ride a camel soon! Aw, How can he not love Canadian Women: I bet Mohammed says that to all the girls. I concur. What’s not to love?? Amazing photos of the Sahara. We hope to see it one day!